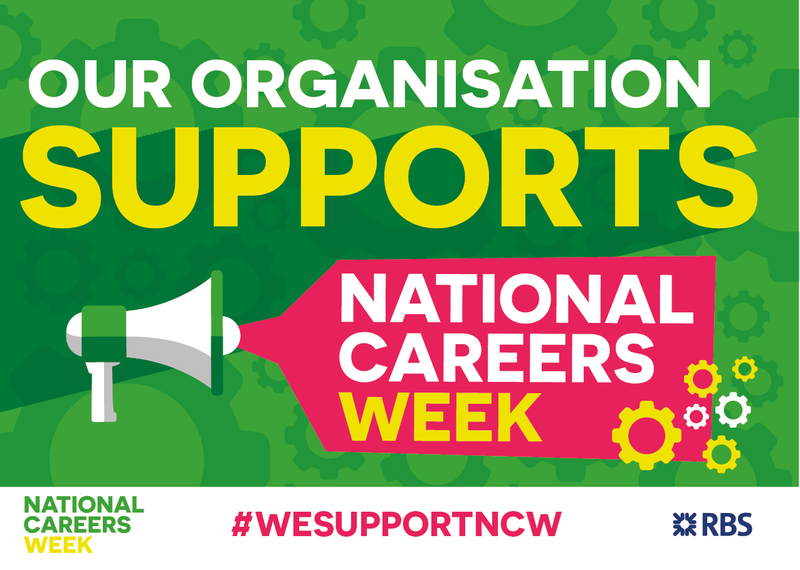 This week’s blog is all about careers and National Careers Week (7-11 March) #NCW2016. On 4th February I delivered the opening keynote at the Schools North East #FutureReady16 and focused on what young people need from Careers Education and the experiences that would be valuable in their future development. As well as there being plenty of statistics on the subject – and lots of articles about the subject from every side of the political fence – we decided to do our own small survey on social media and see what were the main influencers in peoples’ working lives for those currently in work and who have established careers. What careers advice did you receive? What made you decide on your current career? If you’re not currently doing it, what would be your dream job? What careers advice did you receive at school or college? 2. What made you decide on your current career? 3. If you’re not doing it, what is/was your dream job? You can see that the careers advice received during the 60s, 70s and 80s was patchy, with 43% of respondents not being able to remember any careers advice at all, the balance receiving some or v little. The majority responded with ‘I saw a careers advisor for half an hour’, ‘I was told I couldn’t become an engineer’, ‘My grades / eyesight / behaviour wasn’t good enough to be considered for a job as a pilot / lawyer / architect’. Decisions made by respondents had a broad spread of reasons – 11 out of 30 (36%) followed their passion or chose the career based on their skills whilst 14 people – 46% – either ‘fell into’ their careers or followed friends or chance discussions or encounters. Interestingly regarding advice – where 10% of people responded to advice they were given – one of these people is a Free School Principal because they were advised that they ‘couldn’t do that job’! Another respondent, now a Judge, became a barrister because at the age of 13 his father suggested it was a well-paid and prestigious job, and he really liked Rumpole of the Bailey on TV! Finally, whilst 13 people are or were, doing a job they love, in respect of the ‘dream’ jobs and careers people discussed in the survey you can see a broad spread for the 17 who weren’t doing their dream job. This 56% had a weird, wonderful and sometimes mundane list of ‘dream jobs’. The idea of a jet pilot seems to loom large in the 70s and 80s – maybe because it represented the future of travel (or maybe there were just good TV adverts on for joining the RAF and airlines?) – and engineers, architects and actors all seemed to be popular choices. Engineers are perennial favourites for career choices – perhaps this is because they solve problems, build massive things and are generally credited with ‘making stuff work’? People make decisions for a wide variety of reasons. People value friends’ and family opinions (or do the opposite). One third of the people on this survey ‘fell into’ their careers, how can we help people to fall into the career that’s right for them? The media will influence people hugely – how many young people want to be App Developers or YouTubers? I firmly believe that careers education needs to be part of school and college life. Work Experience is often badmouthed as a waste of time or an administrative nightmare but even if students don’t like it, they learn what type of job or career doesn’t suit them. There is no substitute for knowledge and experience, so create opportunities to discuss and observe careers during the educational week view Careersbox.com videos, talk about jobs during lessons and get parents, Governers and local business people in to discuss their jobs as often as possible. Task students with arranging their own work experience or part-time work, that way they will find jobs and placements that they like the look of. Take the chance to get businesses to support enterprise and business workshops to come into school or college for you. Be as flexible as possible with your budgets – use some of it to get trainers / workshops / speakers in from outside to talk about their journey and inspire your students. Who from your alumni has done something noteworthy or exciting as a career – could they come in or even Skype with your class / year group? Once people see ‘that could be me’ the world will open up for them. Take advantage of free programmes like Barclays LifeSkills and projects supported by the Transformation Trust who work with high FSM schools across the UK. SIGN UP at nationalcareersweek.com and see what activities are going on between 7th and 11th March in your area. Please let us know if you need any more info on any of the careers aspects discussed in this blog or for more details on what we can offer your school, college or business. Email us info@innovativeenterprise.co.uk or follow us on Twitter @EnterpriseSBox .